The best part about owning a custom T-shirt business is being able to help out Charities, Non-Profits, & various causes. 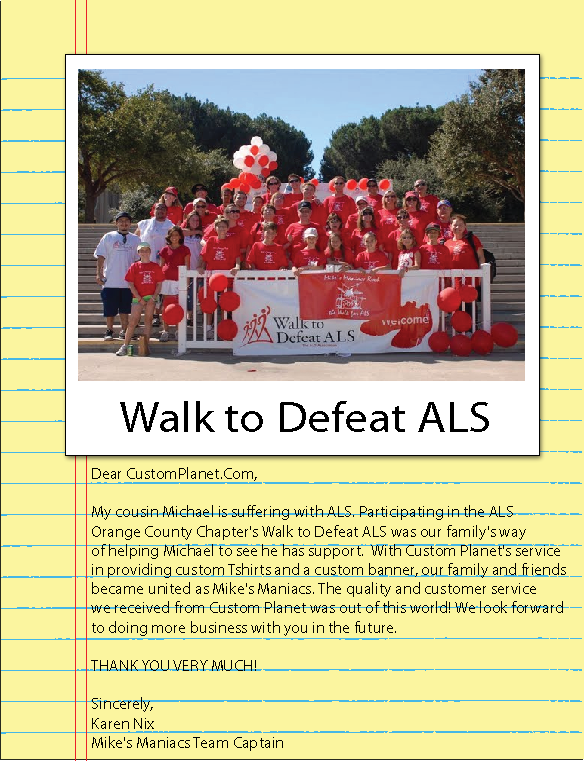 Here's a super nice letter we got from Karen Nix who organized a walk to support her cousin who has been diagnosed with ALS. For those of you that are unfamiliar with ALS, also known as Lou Gehrig's Disease, it's a debilitating disease that affects the muscles causing weakness and paralysis. It's not good at all. More information and ways to support this cause can be found at the ALS Association's Website. 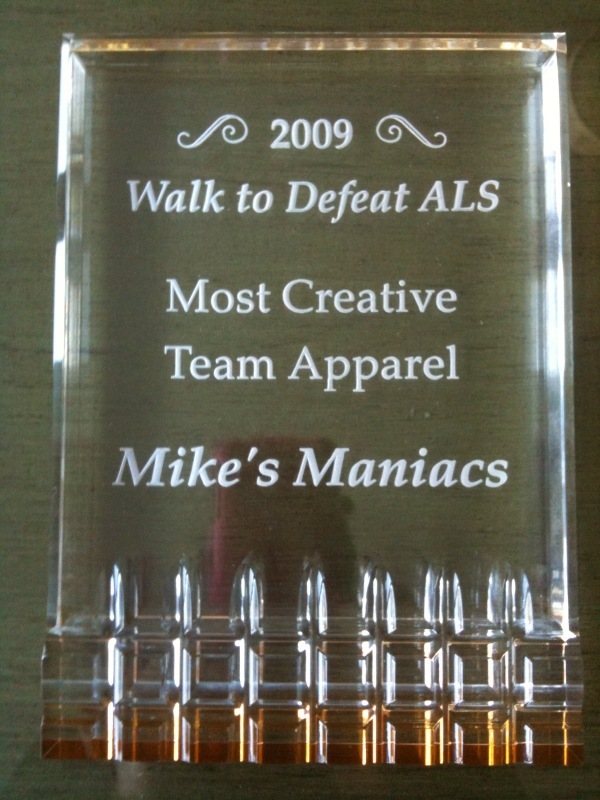 Mike's Maniacs won Most Creative Team Apparel in The Walk to Defeat ALS. How great is that?! ?